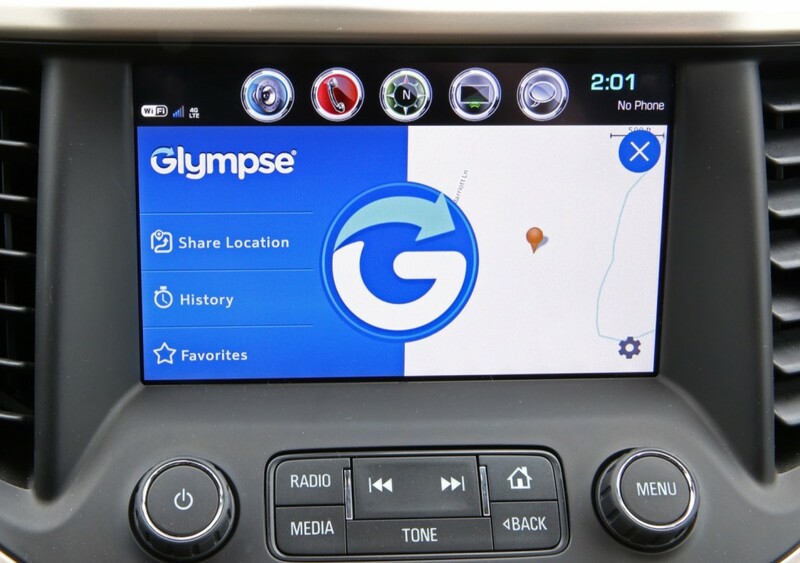 Two years ago, General Motors announced plans to roll out AppShop — an application store for the infotainment systems of its vehicles. Months later, GM Authority exclusively reported that the automaker delayed the rollout of the system until 2015, with the automaker then confirming that the project was postponed indefinitely due to not meeting GM’s internal standards. However, we have now confirmed that App Shop is launching on some 2017 model year GM vehicles. A catalog of downloadable apps designed to run on the infotainment system of a vehicle. Called SHOP in Chevrolet, Buick, and GMC vehicles, and Collection in Cadillac vehicles, the feature will enable users to browse, select and install apps. “The beauty of the platform is that it enables customers to make their vehicle experience more personalized to them overtime, much like a smartphone”, a GM spokesperson explained to us. 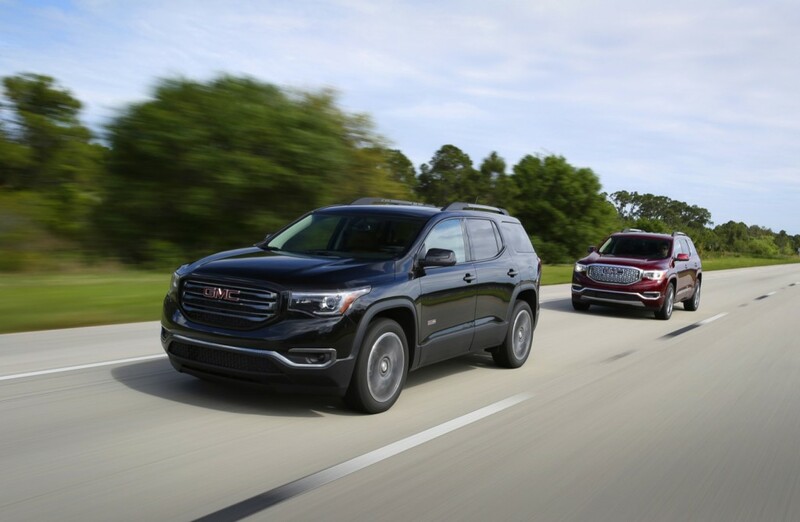 In the 2017 GMC Acadia, an icon on the IntelliLink infotainment system called SHOP provides access to the app store, where customers can access all available apps and also manage (add, delete) installed apps. In addition, order guides for the 2017 Cadillac ATS, CTS, and XTS also list “Pandora, iHeart Radio, The Weather Channel and more” when describing CUE Collection. GM tells us that new apps will be introduced overtime. Stay tuned to GM Authority as we find out more about GM’s App Shop efforts. That’s great, and also a sign that GM has totally left customers of older vehicles out to dry. They need to work with their dealers so that it doesn’t cost $300+ just to get MyLink Radio software updates. Every iOS update makes the interaction between MyLink and the phone just a little bit worse. Right now what I need is either an affordable software update path for Gen1 MyLink vehicles, or a non-software menu based reset button for the radio (hold the power button for 10 seconds maybe? ), seeing as how I tend to have to reset the radio more times than I can count in a month. MyLink is great when it works, but my experience with it has been very reminiscent of the complaint filled experiences I heard about MyFord Touch. Ricky — that’s not exactly a realistic point of view. Apple makes the devices and Chevy/GM makes cars to work with those devices. As such, the two should collaborate together but it’s ultimately on GM to make an infotainment system that works with the devices users bring into the car… especially when the device in question is the single most popular smartphone on the planet. If we all looked at it from your standpoint, then very few devices would work in cars “because [their manufacturer] is screwing it up”. Actually GM had ISO 8 working great and then ISO9.0 came out with a ton of bugs for many vehicle manufacturers. One main pain was that whenever you took an incoming call and hung up when done, the system automatically started playing music off your phone. Many manufacturers complained and ISO 9.0.1 resolved some issues. So a lot of time it is the smart phone OS’s that come out with bugs. Did you mean iOS and its versions by “ISO”? Actually your wrong. I work for Chevrolet. An example you say? Apple’s 9.3 software was working great with the Mylink system. Then the 9.3.1 update came out and the iPhone would barely work with the system. When the 9.3.2. update came out everything worked again. Again this is not G.M.’s fault. I don’t expect my 2014 to support an ‘app store’. 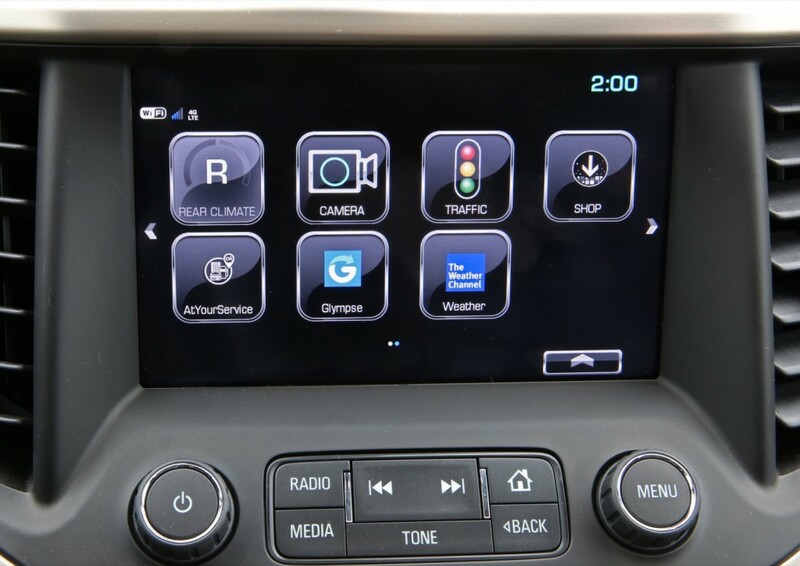 The new infotainment systems have faster processors, more memory AND 4G connectivity. What happens when a new version of your favorite computer OS comes out? Most of the time you upgrade the hardware too. If not, you suffer with an under preforming system. I don’t blame GM for not wanting to deal with those headaches. Personally, I have never had a problem with my infotainment system. 1. The AppShop features are part of a hardware and software update to MyLink (and IntelliLink and CUE). 2. How/why does it cost you $300 to get an update? I’m quite curious about this, since it should not be the case… given your car is under warranty. But even if it’s not, it shouldn’t be that much. 3. I guess you’re bound to have issues with these systems once in a while, but I don’t believe the issues are anywhere near those experienced by Ford with MyFord Touch. Outside of obvious educational issues, MFT suffered from being a laggy and buggy system. Not the case with any MyLink/IntelliLink/CUE system in my experience. Remember, we are talking hardware and software. I would gladly spend $300 to update my 2014 Silverado to 2016 hardware/software. The least expensive IO6 HMI module I can find online (pre-programmed for my VIN) is $695. $300 would be a steal! If by ‘screw’ you mean not giving you the option to run new software on old hardware then you are correct. Not sure how that is getting screwed. You can always upgrade your system by purchasing and installing IO6 HMI Module. I’ll bet you will be able to do the same with the 2017 version of the HMI. It seems to me that you guys put too much emphasis into all this recent vehicle gadgetry, in GM vehicles, in particular. The primary thing about the vehicle is all its aspects, well, as a vehicle (capacity, fuel consumption, dynamics, reliability etc.) and the features of its cabin gadgetry is a somewhat secondary thing. I personally drive 2010 Buick LaCrosse CXL which has primitive, by modern standards (big, but monochrome) DIC and big-pixel monochrome radio, also looking like it’s a Tetris game from 90s. In terms of interaction with a smartphone, it only has voice-activated and voice-controlled Bluetooth voice calls using the smartphone (or any simple phone with Bluetooth voice calls profile), but it all works fine. And the car itself, as a vehicle, is pretty good, so I have absolutely no incentive to change the car for a newer model year for the sake of this multimedia gadgetry itself. After all, recent car multimedia systems with nice color touchscreens are like any $150 tablet anyone can buy; it’s just a simple and cheap $20 ARM SoC running certain Windows CE-like or some similar software on it, equipped with a $50 touchscreen. I used the recent IntelliLink in 2015 Buick Regal last year, and it is nice, but not nearly worth changing the vehicle for a newer one or even caring about this subject. There is nothing special about these things. Please note that I’m not talking about recent active safety and driving assist systems here – that’s a different story. I meant only the multimedia in this post. I recently bought a 2016 hopefully the hardware will support the 2017 software. It’s not working in any 2017’s yet. As of now I just purchased a 2017 GMC Acadia Denali and their are only 3 apps. What a joke. I agree my 2017 GMC Acadia also has limited apps. No App SHOP, or WEATHER buttons. Very disappointed. Anyone have mnore information on the 2017 IntelliLink infotainment by LGE? Spoke to the service department today at the dealer I purchased the 2017 GMC Acadia. I never did get a reply from GMauthority. I was told that even though I have a 2017 GMC Acadia SLE-1 C1 platform. We do not have access to the SHOP app on our Acadia. I am glad it is a lease 36 months and counting. I had the same problem in my new Malibu. All you need to do is connect the Intellilink system to the OnStar wifi, just as you would connect a tablet or laptop at home. Then, you will have access to the SHOP. It worked for me only after three service trips. I’ve noticed that there seems to be a lack of dealership education with some of this newer technology because half the time they don’t know whats going on with it either and wind up searching for a “Service Bulletin” or phoning “GM Tech Line”. This is their terms, not mine. Just be patient with your dealer, they’re learning with us as well. I purchased a 2017 Sierra Denali and it does not have the Pandora app. When I go to the shop it only has 3 worthless options to download. I can stream Pandora through the radio but why can’t I get the icon so I can have the “thumbs up, thumbs down” option. I know people who have both 2015 and 2016 versions and theirs both have it. Can anyone offer any advice for an update or another way to find it? Same issue in my 17 corvette. Did you find an answer Magoulas? Nothing Mike. I even called GMC and they pretty much told me to wait and they would have it figured out soon. My daughter bought at 2016 in late November It’s an upgraded SLE (full bucket heated seats, full console and upper end infotainment center. IT has Pandora icon and full steering wheel controls. I just bought a new 2017 GMC SLT and no Pandora. I’ve raised hell with everybody and I and have NO answers from anyone. Called the GMC owner center and they told me it was in the SHOP app. Nope – three totally useless app’s. Glympse, Weather Channel, and forget the 3rd one. I can stream using my iphone, but must be connected to USB cable, then under Projection on main screen, I can launch from there but have NO control of anything on steering wheel. Angry would be an understatement. It’s not rocket science. All my home smart TV’s have it. My surround sound home system has Pandora, even a couple of BlueRay players has Pandora. What is going on? Why does nobody know anything that should know – Even spoke with GM about it – dealer is clueless too. My 2017 Silverado 3500HD LTZ only has the 3 apps also, has anyone had any luck????? I just purchased the 2017 Sierra Denali 1 week ago and the same 3 useless crappy apps are still in the store. And to boot, I use my phone as a hotspot but the truck won’t connect to it. I use the hotspot on my phone religiously with my Parrot Asteroid Smart in my other vehicle. I Have had 3 new silverados a 15, 16 and 17. O have had the 17 for almost a year. I finally figured out the app shop. All you have to do is click the shop icon, while parked. Then connect it to your Wi-Fi or a connection then all you need to do is personalize your apps. Found this by mistake and boy it is wonderful. The dealership didnt even explain this to me. Does anyone know if the AppShop app will be available for 2016 or older vehicles with the upgraded 8 inch display in like a software update??? Our 2016 Malibu Premier has the exact same display as a 2017 model but it doesn’t have the AppShop app on it so you can’t download other apps to the car. Honestly GM needs to make this right with their customers that have vehicles that are compatible and I would think our 2016 would be because it has the exact same radio display as a 2017. Any info would be greatly appreciated. I just bought a new chevy malibu premier 2018 and it only has the same 3 apps. Seems like they did not and wont get any other apps.